Hello friends ... Happy Saturday! 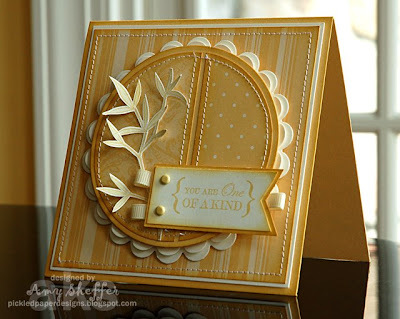 Judging by the number of entries this past week, you love dry embossing as much as we do. Thanks to all who played along -- great stuff this past week!! Before we announce this week's challenge, we want to congratulate Silke, aka sparklegirl on SCS, winner of the goodies from Cut At Home. 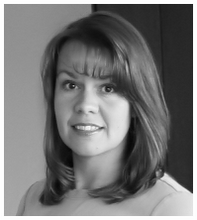 Silke, please contact us at ourcreativecorner6@sbcglobal.net so we can hook you up with your goodies! 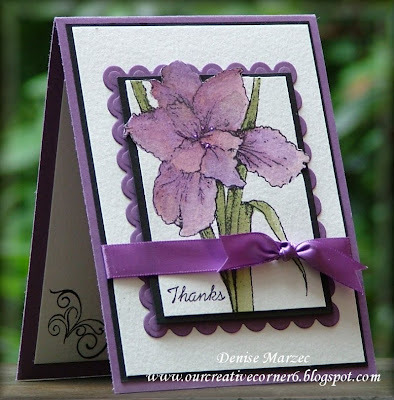 And thanks again, Marcie, for your generosity! There's no time limit, so feel free to participate whenever you are able. When you do get something posted, just leave us a link to your gallery or blog in the comments section, so we can be sure to check it out. If you upload to SCS, remember to use keyword OCCC. Good Saturday Morning!! Time for another installment of Our Creative Corner's weekly challenges. 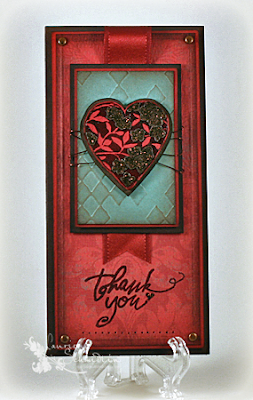 But first a big thanks to those who participated in last week's Inspiration Challenge. 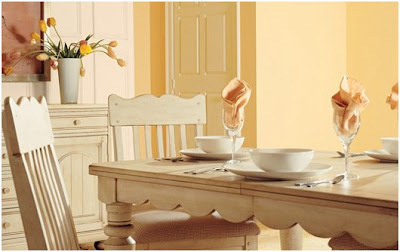 As we expected, there were so many different interpretations of that gorgeous dining room. 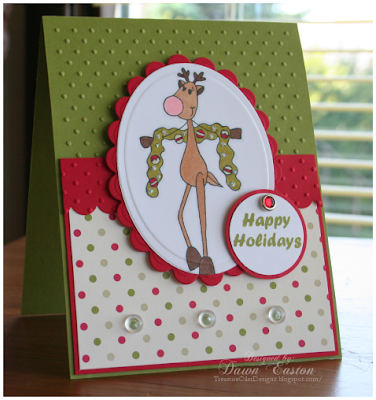 It's been so much fun looking at your creations! 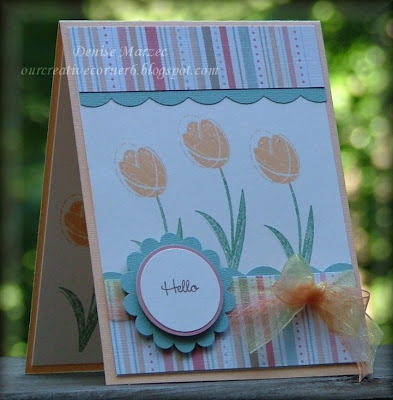 Our July host, Jennifer Meyer, has another fun one in store for us this week. 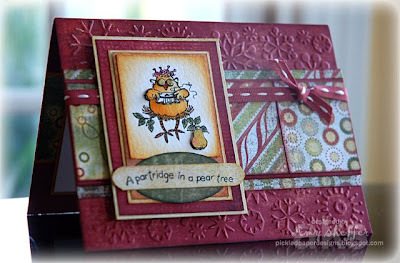 Your challenge is to do some dry embossing somewhere on your project. 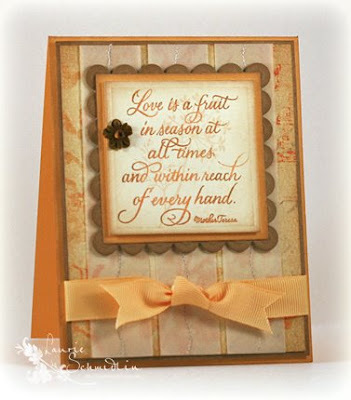 Feel free to use whatever method of dry embossing you like - cuttlebug, brass templates and stylus, Nestabilities, etc. 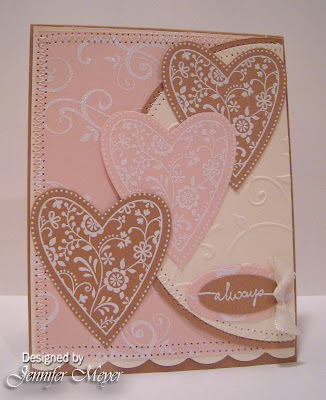 If you don't have any of those tools, try faux dry embossing. If you download your cards to Spitcoast, please use "OCCC" in the keywords. We hope you liked our recent giveaways. 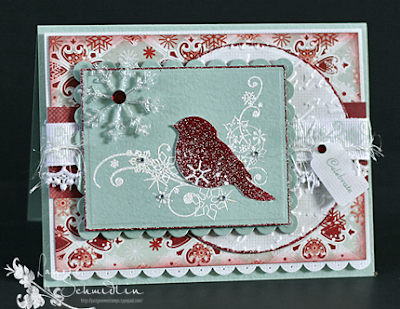 We sure did, so we are doing another fun giveaway, this time courtesy of Marcie at Cut At Home! 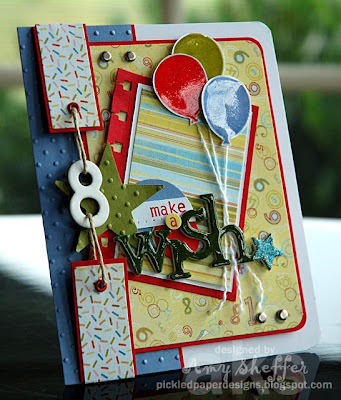 One lucky winner from this week's challenge participants will be awarded some fun goodies including some Nestabilities and an A2 embossing folder. To be entered into the drawing, we ask you to have your card linked up here in the comments section by 12 noon Eastern Time on Friday. We'll draw a random name from the entries and announce the winner on Saturday, July 26th, along with our next challenge. Thank you so much, Marcie!! 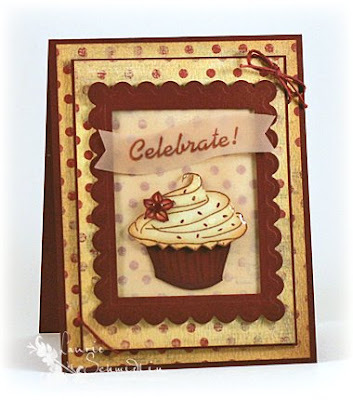 Be sure to check out Cut At Home, where you'll find all kinds of fun Die cutting goodies, including the NEW Nestablilities Labels and A2 Embossing folders by Provocraft. If you sign up for the VIP coupon you can save 40%. 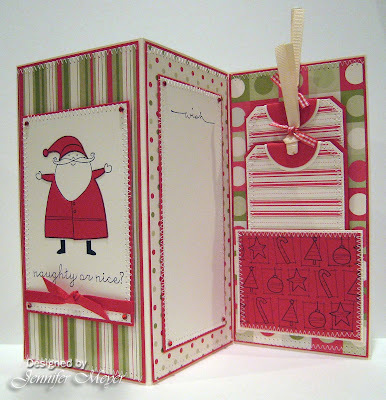 Click on the link for the details and please tell her the OCC sent you! We also have a special guest this week "Diane Gilbert". Diane we are so glad that you could play along with us this week! 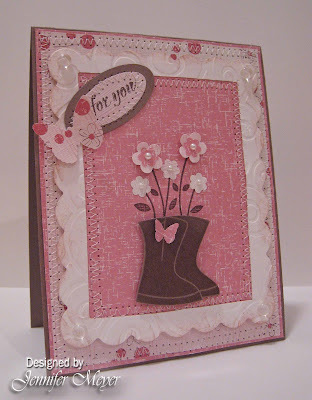 Please stop by Diane's Blog "My Little Stampin' Spot", please let her know that the OCC sent you. Drumroll........Our very own Dawn Easton has been chosen as one of the newest members of the Splitcoast Dirty Dozen!! Big, BIG CONGRATULATIONS to ya, Dawn. We love ya and are so excited to see you there where you belong! Hello OCC friends! We hope you've had a great week! The response to last week's sketch challenge was amazing, and we want to thank everyone who participated! 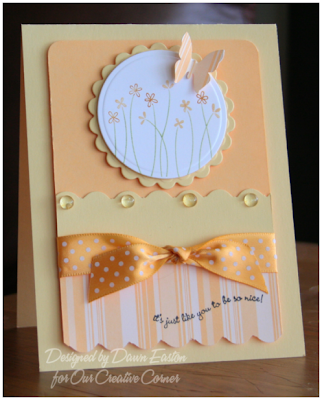 Before we announce this week's challenge, we want to congratulate Denise, aka luvthesea on SCS, winner of the $20 gift certificate to Mothers & Daughters Creations. 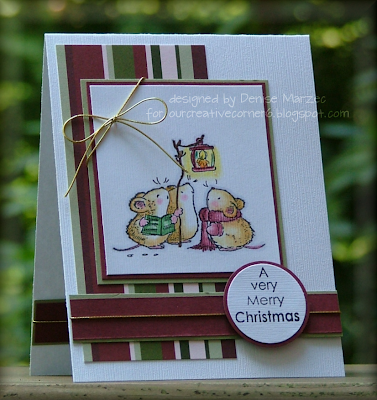 Denise, please contact us at ourcreativecorner6@sbcglobal.net so we can hook you up with your prize! 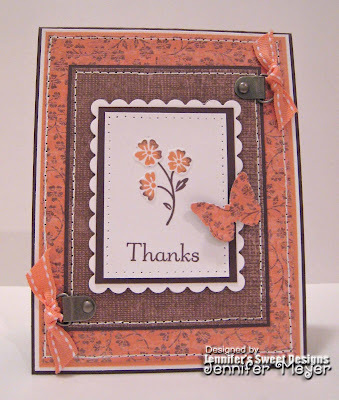 And thanks again, Tamara, for your generosity! There are no rules per se for the inspiration challenge. Take a look at the photo and head in whatever direction you feel led! It could be colors or shapes or patterns ... anything that stirs up your creative juices. 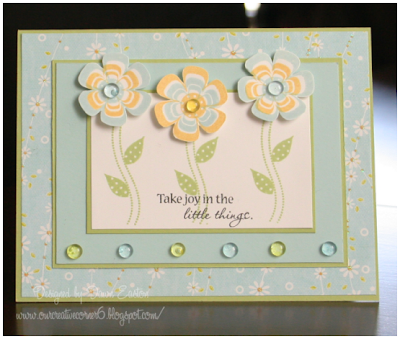 It's always fun to see the different interpretations of inspiration pieces!! There is no time limit so feel free to participate whenever you are able. 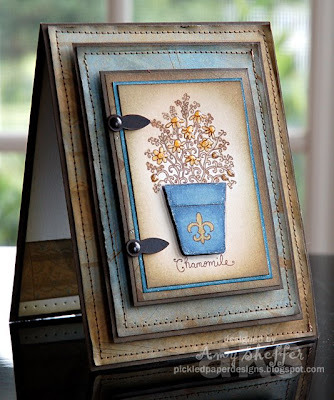 Be sure to include a link to your project in the comments section, so we can see your creation. 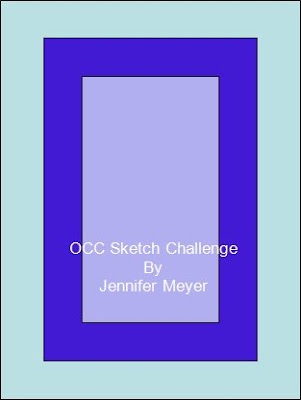 And if you upload to SCS, remember to use keyword "OCCC" (Our Creative Corner Challenge). We look forward to seeing your creations! Thanks for visiting Our Creative Corner! 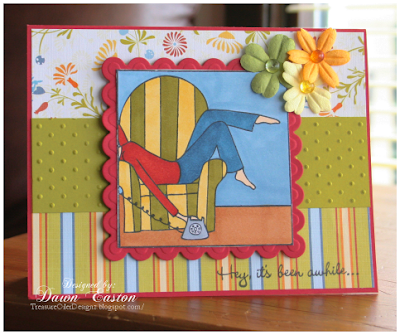 Happy Saturday from all of us at Our Creative Corner. A big thanks to everyone who played in last week's Basic Grey challenge! 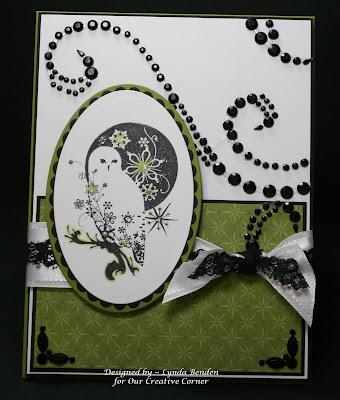 Wow, there are a lot of you who love Basic Grey as much as we do - what an inspiration you've been to us! 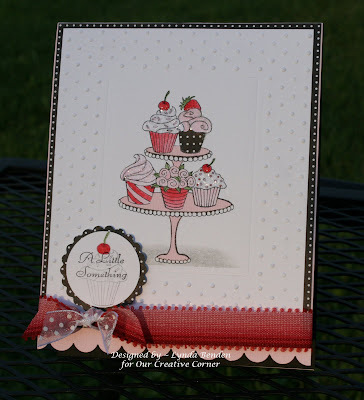 Before we announce the next challenge, we would like to congratulate craftyc, winner of the $15 Jacksonbelle gift certificate. Please contact us at ourcreativecorner6@sbcglobal.net so we can get your winnings to you! We can't wait to see your creations!! Remember to leave a comment here on this post with a link to your project. If you upload to SCS, use keyword: OCCC, which stands for Our Creative Corner Challenge (same keyword each week so it's easy to remember). Did you like the prize last week? We did too!! 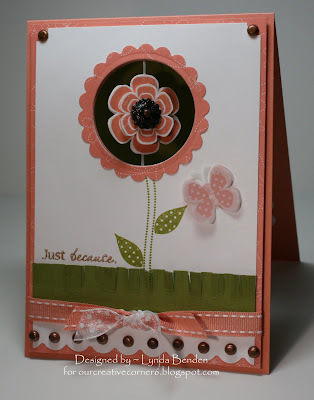 So we're doing another giveaway, this time courtesy of Tamara McKlveen of Mothers & Daughters Creations! One lucky winner from this week's challenge participants will be awarded a $20 gift certificate, good at Mothers & Daughters Creations. PLUS anyone who places an order from July 5th - July 12th will receive 10% off the entire order. To be entered into the drawing, we ask you to have your card linked up here in the comments section by 12 noon Eastern Time on Friday. We'll draw a random name from the entries and announce the winner on Saturday, July 12th, along with our next challenge. Coupon code "OCC10". Thank you so much, Tamara!! 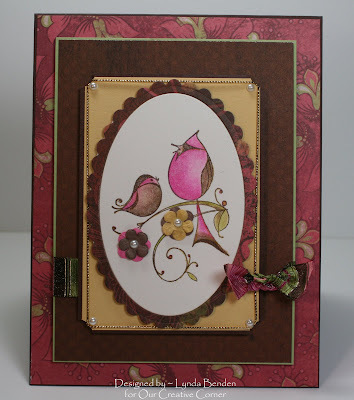 Be sure to check out Mothers & Daughters Creations, where you'll find all kinds of fun papercrafting goodies, including the very newest Black Magic "Core'dinations." Tell her the OCC sent you! Tamara was also gracious enough to provide us (and you) with a sketch sample! 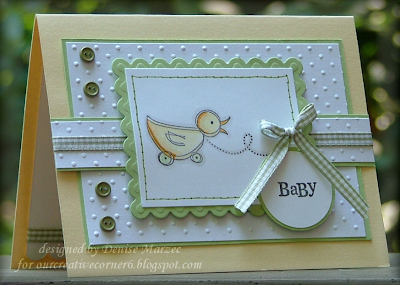 We're so glad to have you play along this week, Tamara! Feeling inspired? We hope so! Thanks so much for stopping by! Happy Birthday Denise, may all of your wishes come true! Hello from the OCC team! Our Creative Corner has some more exciting news to share but you will have to tune in Saturday to see whats in it for you (hint hint)! In the meantime, keep those Basic Grey cards coming! We LOVE what we see so far!